1. Here is some beautiful fabric that just arrived from the Michael Miller company! 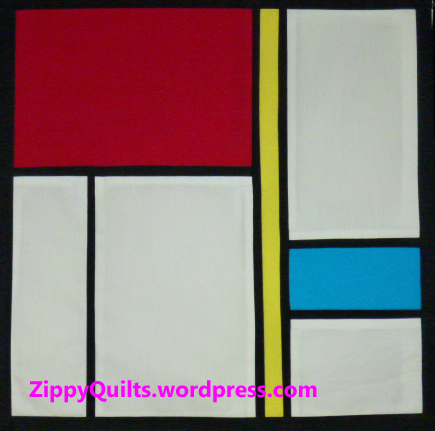 It’s for my next magazine project (for Modern Quilts Unlimited). 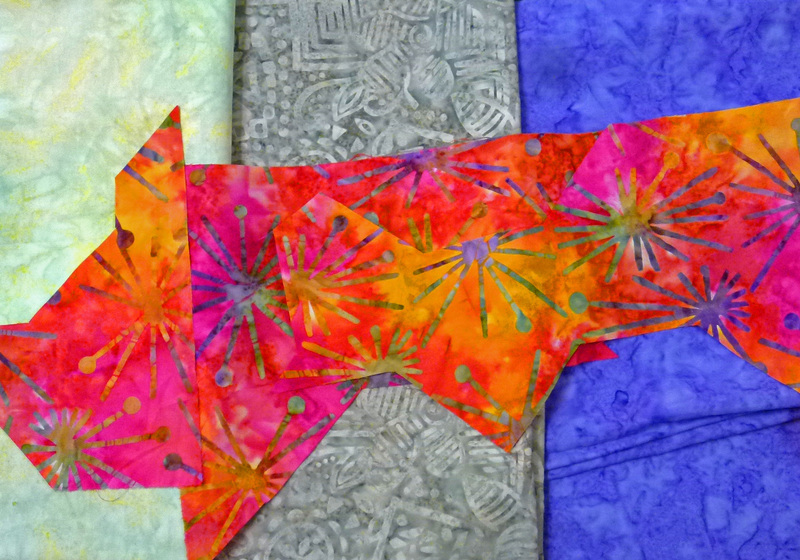 I love to use batiks for the “solids” in my quilts because of the texture and highlights they give to the design. 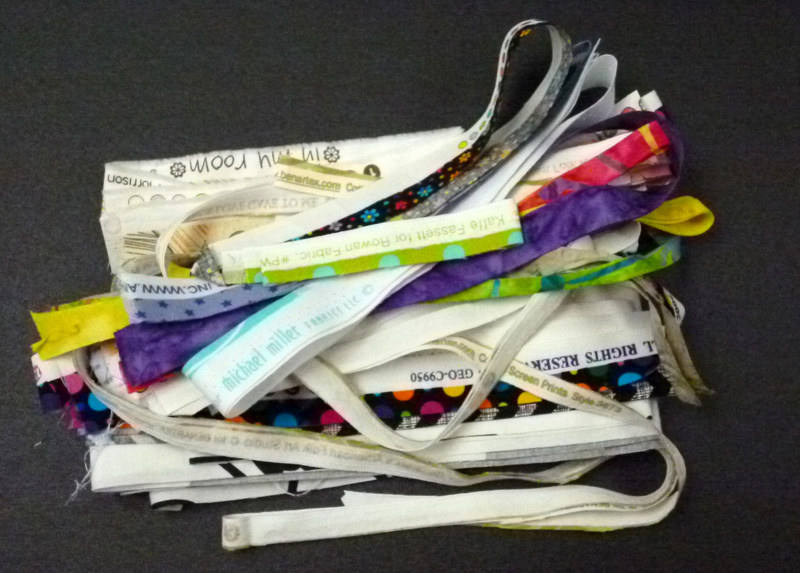 2. Who wants these selvages I’ve been saving? 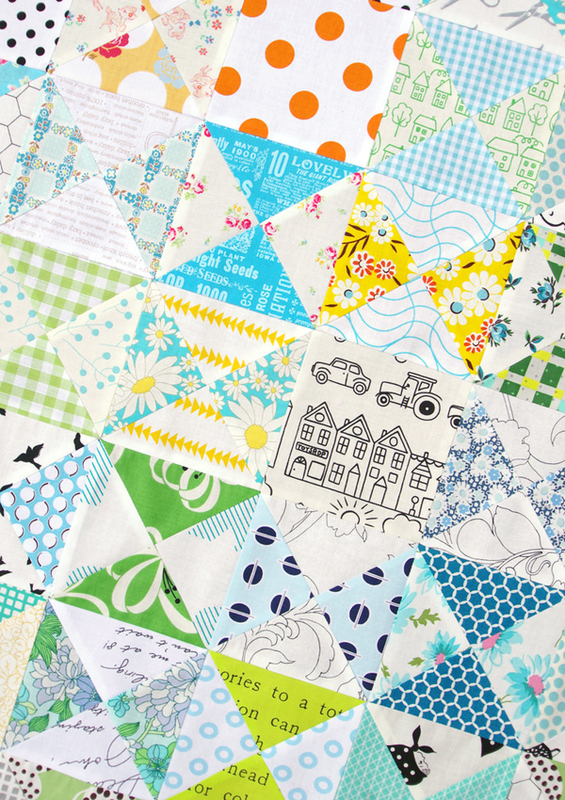 I know the author of one of the blogs I read commented that there is a selvage quilt in her future, and I’m pretty sure there’s none in mine. Comment or e-mail me if you want them. 3. 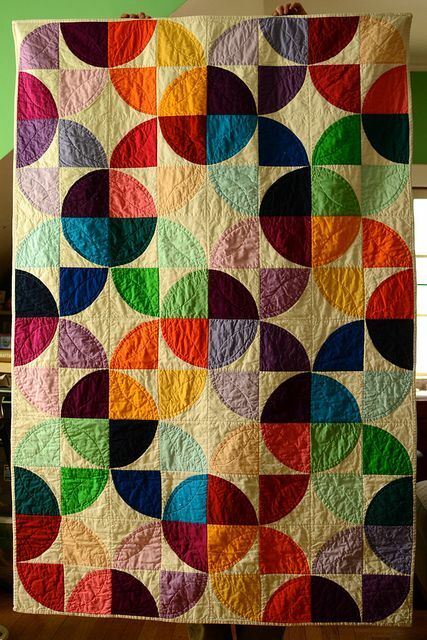 For those who may want more traditional lessons on color than the ones I’ve provided in my design series, my friend Melanie in Iowa has some nice posts. You can find them here and here. I think you’ll like them! 5. My digital camera somehow got a little piece of lint inside (at a quilt show, of course) and I can’t get it out! Any recommendations for a good replacement? 7. And the more pictures in the blog, the better. 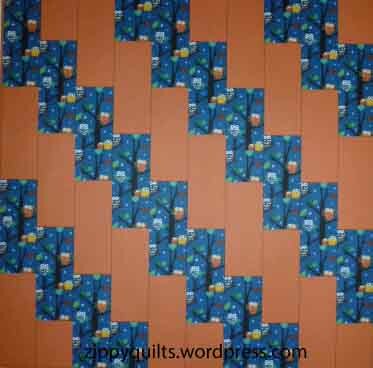 So here’s my October finish, another quilt for Ronald McDonald House. 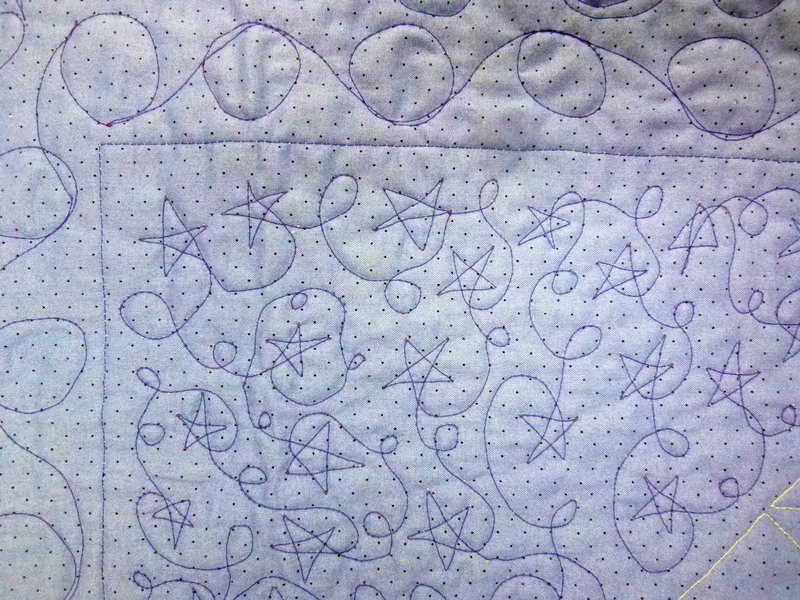 I quilted it on my new Bernina 530QE. There’s definitely a learning curve to that BSR, but I’m pleased with the result. 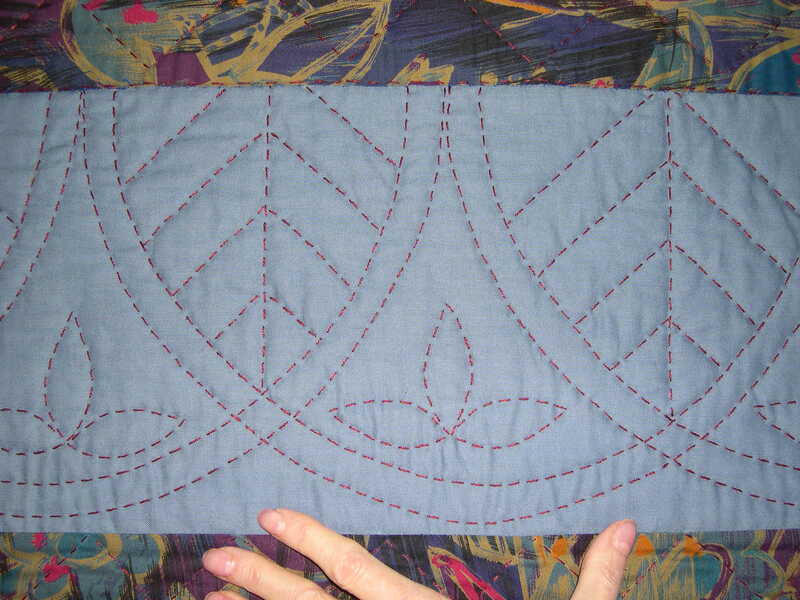 “Upon my return to the US, I started using a high contrast #8 pearl cotton, longer stitches, with the traditional rocker motion of hand quilting with a hoop and thimble. 1. Good friends! 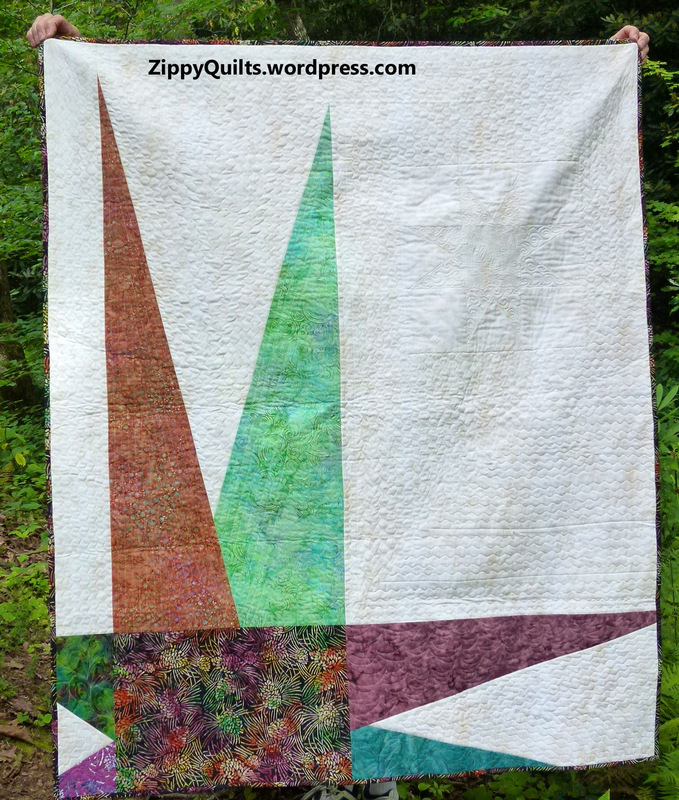 Some of my best buddies are people I’ve met through quilting, and, as I’ve mentioned before, joining a quilt group is a great way to make friends. 2. New challenges. 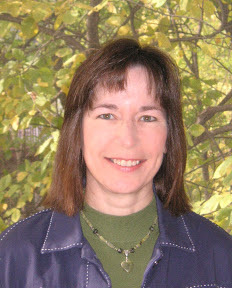 I count any day in which I learn something new as a success. 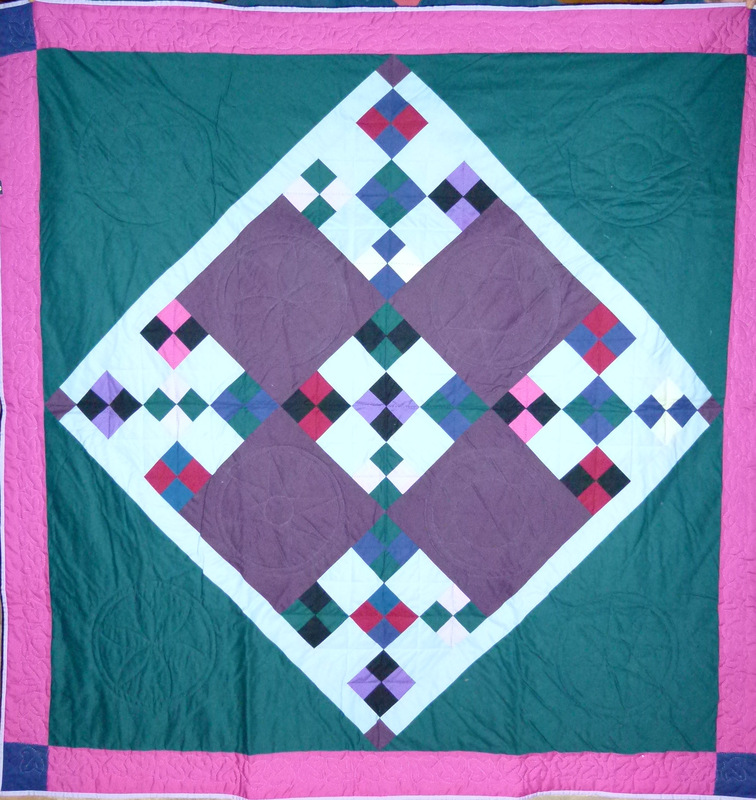 I made this quilt when we lived in Pennsylvania. 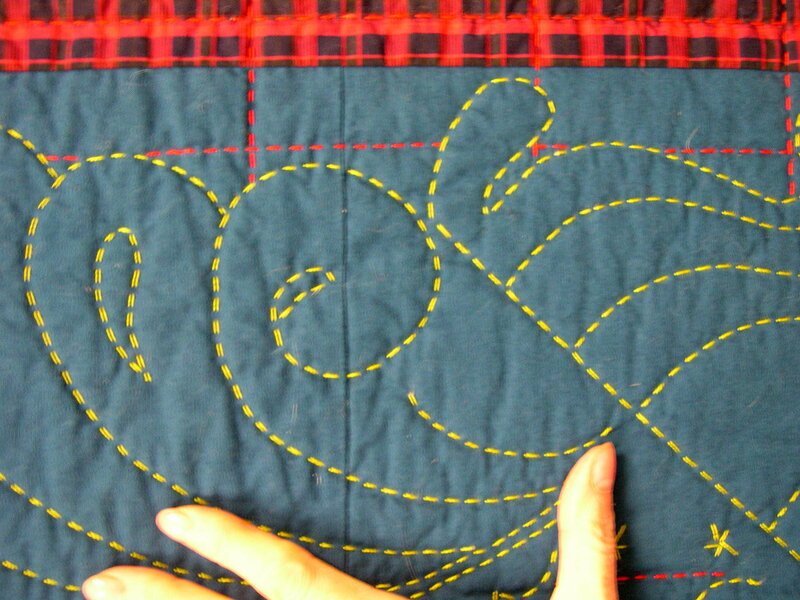 The biggest challenge was to design and produce the stencils for the quilting. 3. A creative outlet. 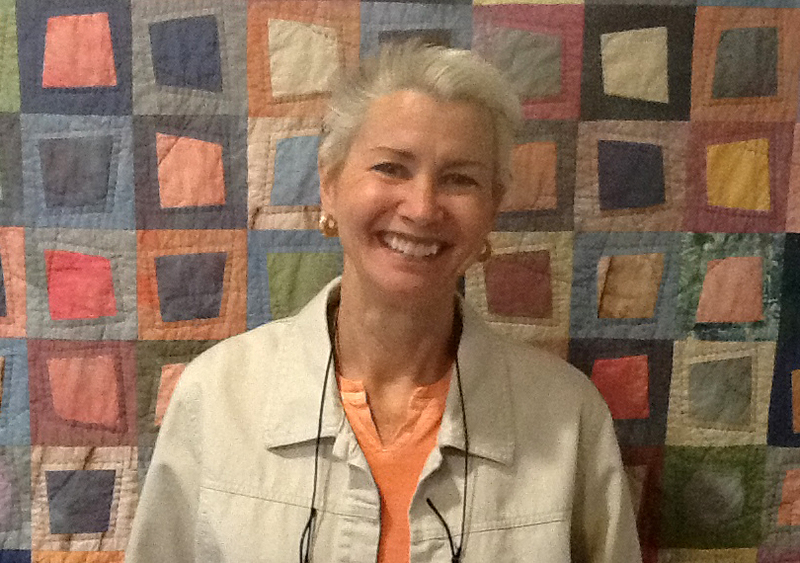 Like many quilters, I’ve had careers with a scientific focus. 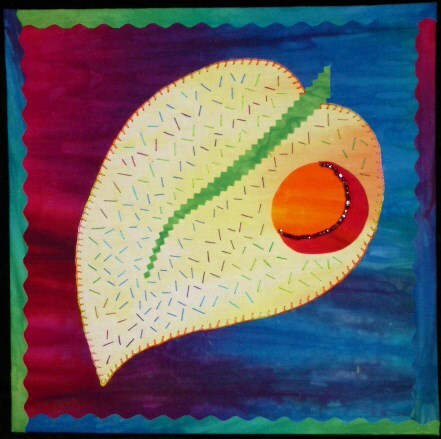 It’s nice to have the opportunity to do something that engages my creative side. 4. The opportunity to help. 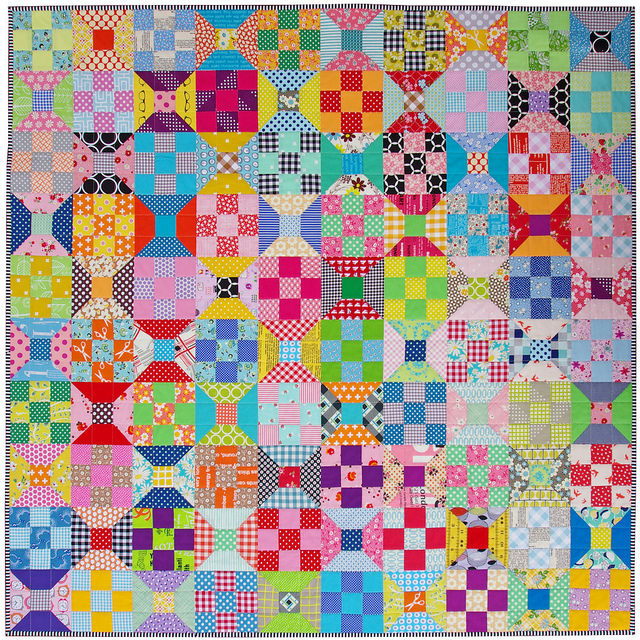 Giving a quilt, whether through a charity or through a personal contact, gives me the opportunity to do something for someone. Often it’s a situation in which there’s no other way to express my concern. 5. The circle is unbroken. 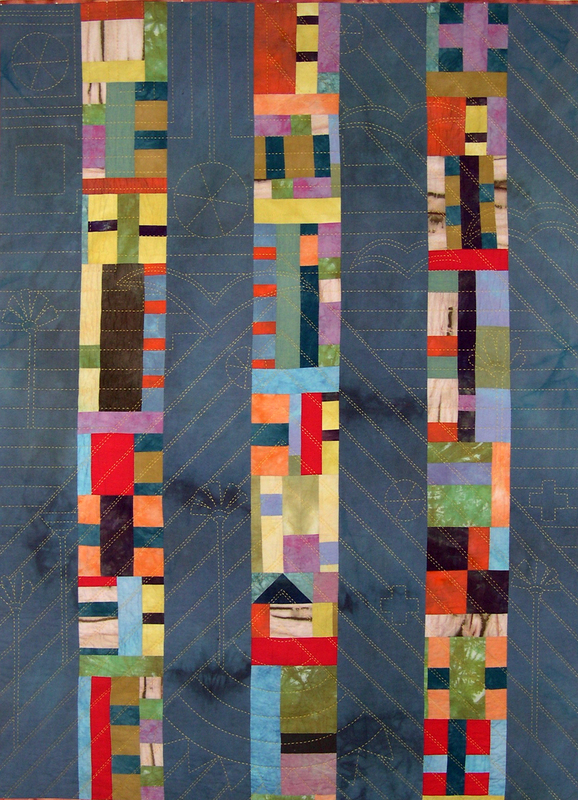 When I quilt, I feel connected to my ancestors who made quilts, to friends who use my quilts, and to people all over the world engaged in similar activities. 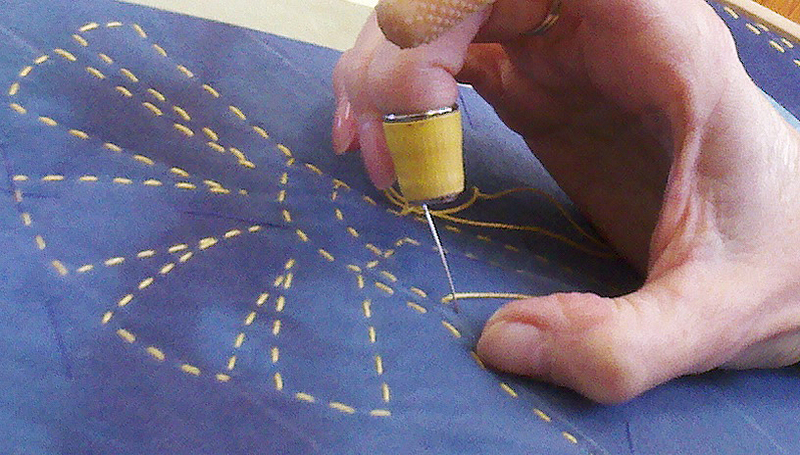 I don’t think about this very often, but it is definitely part of my quilting experience. 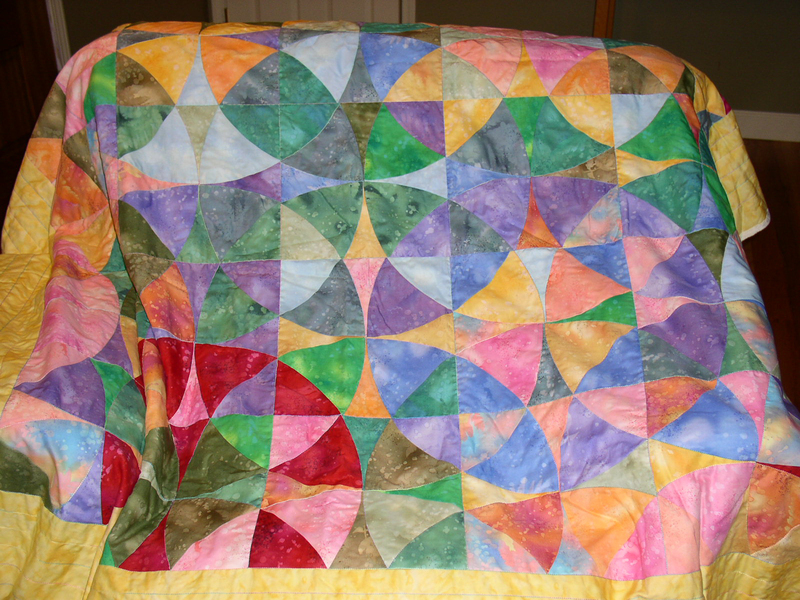 I made this quilt to learn curved piecing. It seems to me that, when learning a new skill, there is often a “formula” or basic idea that, once mastered, provides a way into successful practice of the new skill. So here are 3 ideas for you to try. See if one of them helps you create designs that you like. 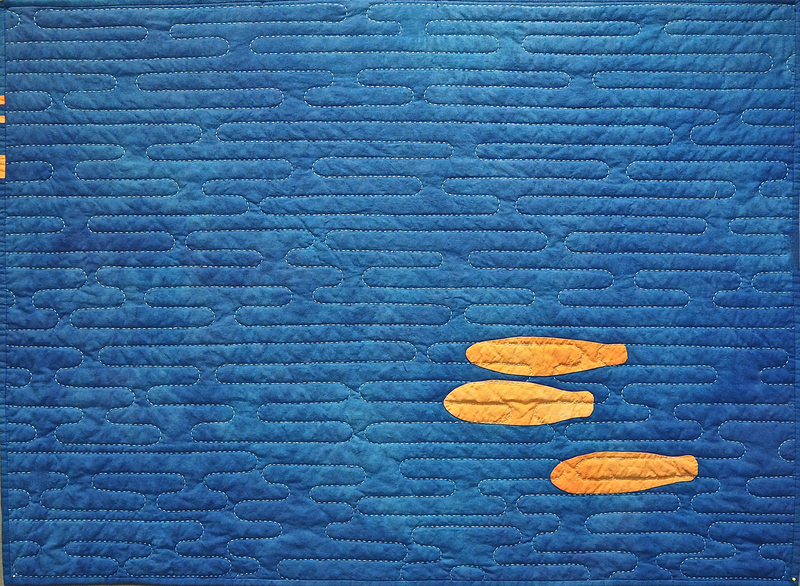 Sometimes I do see modern quilts that are a direct imitation of an artwork. However, my preference is to look at a lot of work by one artist, or by a group of similar artists, then close the book and draw something original that “references” the works I’ve studied. 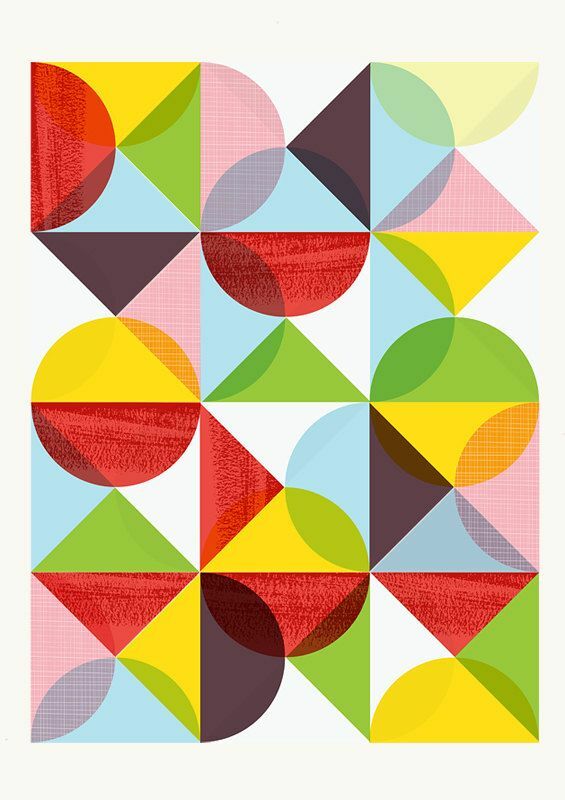 For example, here’s a print I found at an Etsy shop called “Handz”. Compare it to the quilt just below it. It’s not a copy, but it could have been based on the print. Or they could have both been inspired by another source altogether. 3. 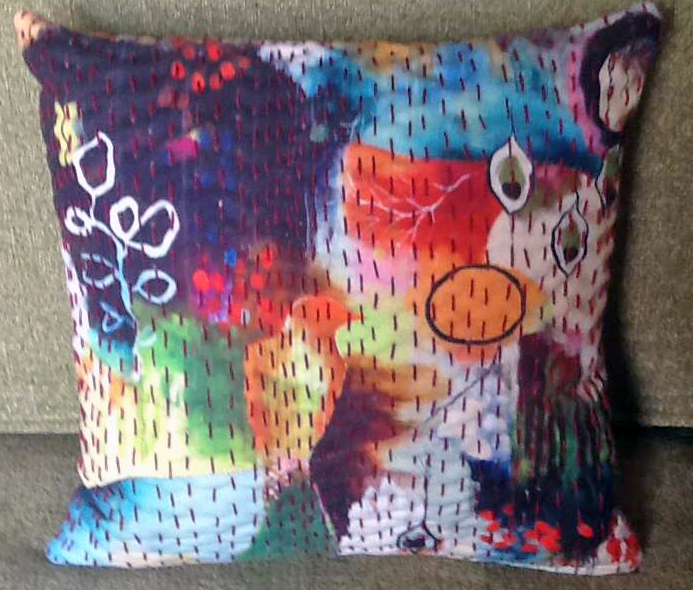 Just start with modern fabric. 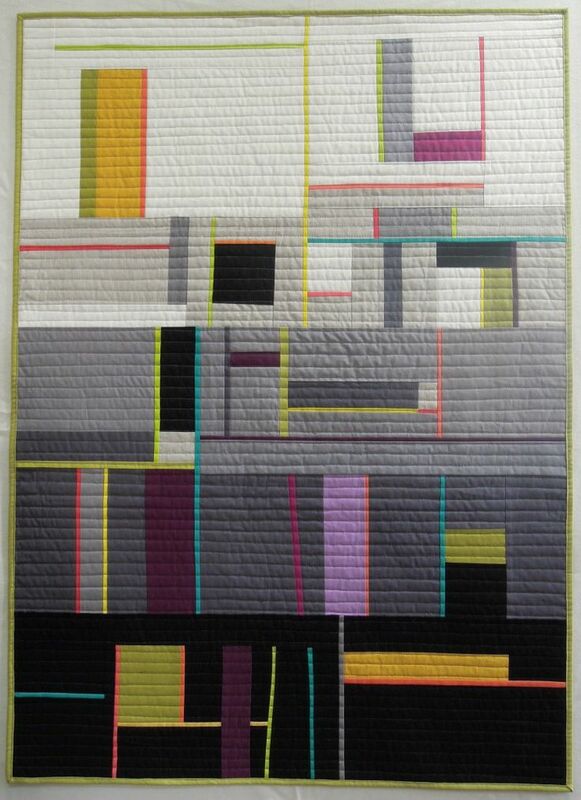 One of my favorite “modern” quilters is Rita at Red Pepper Quilts. 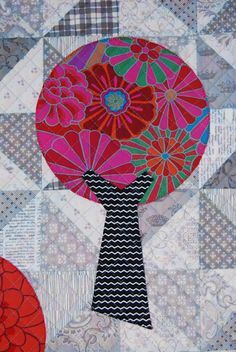 Many of her quilts are traditional designs, but she uses bright, modern, fabrics and her quilts always look fresh and modern to me. Give some of these ideas a try, and let me know what you come up with!